Whether it’s because you want a fresh start or because your home needs an upgrade, you might find yourself in a situation where you have to demolish your home and start anew. People tend to do so when they’re growing their family or when their home needs a lot of upgrading. Below, you can find out which steps you and your construction company should be taking to prepare your land to rebuild. Once you’ve gone through the demolition process, there’s going to be a huge mess all over your property. The first thing that you or your contractor will do is clean up the home that’s been demolished. 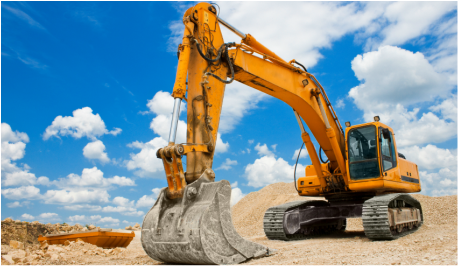 Most construction companies won’t allow you to keep your old foundation or footings, so these will also have to be removed. It should be noted that you have to tell your construction company what you what to keep and what you want to have demolished before you go through the process. This way, you can save your landscaping, pool, etc. Now that you’ve taken out the old foundation and removed all the rubble, it’s time the second step: soil samples! You have to take soil samples even before you have blueprints drawn up. This is because you need to have a soil profile drawn up for records and certificates. To take the samples, you have to hire geotechnical engineers. First, they’ll set up fences to prevent people from going onto your property and to keep your property safe. Next, they’ll begin drilling into your land. It is from these samples that they’ll be able to determine which layer of soil they should be building on. The samples will determine how much weight your land can support without causing shifting beneath the soil. Not only this, but the soil samples will tell you how much your soil shifts and contracts on its own. In doing so, your geotechs will tell you and your contractor how the chemical makeup of your soil will affect the foundation of your home. Shifting of the soil, for example, can cause an unsteady foundation and, therefore, an unsteady home. Soil that contracts, on the other hand, can cause cracks in the foundation. The majority of these results are found by testing how much moisture there is in your soil. Soil samples will determine how much weight your land can support, and will subsequently determine the footings that will be used. Footings are reinforcements, usually made from concrete, that support the foundation. When you have troublesome soil, your footings will often be placed deeper into your land. Next, you’ll want to have someone inspect your land for asbestos. You need a certificate from an outside party because on the off chance that you do have asbestos, it puts the construction workers in danger, as well as anyone else who is exposed to the site. Have you decided to demolish your home? Are you wondering what you’re supposed to do after you have it all torn down? If so, then you’ve come to the right place. We know that living in the home you want and need is an absolute priority. That’s why we’ve provided you with a guide of everything that needs to be done before you’re ready to rebuild your home. First, make sure your land is clear from rubble. Next, it needs to be tested so that your contractors know where to place your foundation, and you need to have the site cleared of asbestos from a third-party. Once you’ve done these things, your land is clear and ready to go! KnockDown Rebuild – What Are the Steps?